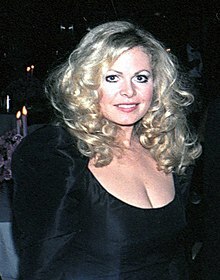 Sally Ann Struthers (born July 28, 1948) is an American actress, spokeswoman and activist. Her most famous acting was in the classic television series All in the Family. Struthers also acted in many movies and other television programs. Struthers also plays Babette in the television series Gilmore Girls. She also provided the voices for animated characters in television cartoon programs. This page was last changed on 7 October 2018, at 20:34.